Ministry Models and Fired Up Volunteers! 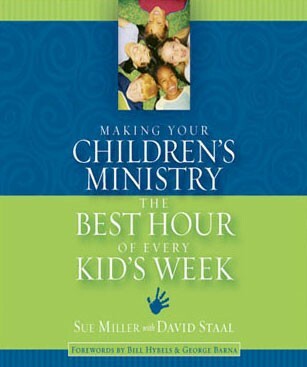 I’ve been re-reading “Making Your Children’s Ministry the Best Hour of Every Kid’s Week,” by Sue Miller and David Staal, for one of my seminary classes. The following are some brief reflections. Much of how I do children’s ministry has been shaped by the Promiseland model that has come from Willow Creek Community Church in Chicago. From later on in high school and using the curriculum in my church, to attending Promiseland conferences throughout college and beyond, to volunteering in the ministry when I attended Moody Bible Institute, to knowing Amy Dolan-a fantastic programmer who I first connected with there, to reading this book, to watching and learning from the exceptional skills of Aaron Reynolds, to using their program structure in my current ministry, I have been surrounded by Sue Miller’s thinking. I’ve used much of what’s in this book in my ministry. It’s helped me with mission and values. We’ve structured our Sunday programs around their structure. While we still have a long way to go towards being strong in all the areas, we’ve been blessed with a strong starting point. I think the biggest challenge for me from this book is working with volunteers. If our ministry context would really apply some of the volunteering principles laid out in this book, fewer people would drop out, more people would take greater ownership and increasing numbers of kids and families would be foundational and spiritually solid. I once used the team experience with our volunteers to discuss the ministry monsters from chapter seven. We discussed how well we were doing. Generally, our strengths were that volunteers didn’t commonly feel used and abused and there didn’t seem to be much power mongering. Our weaknesses tended to be the areas of stagnation and isolation. So we need to continue to fight those monsters to watch our ministry blossom. I’d love to see more and more volunteers connected in meaningful relationships and moved toward passionate service! Then families and kids will begin to flourish in this tainted world as they learn to walk through it with Jesus.